All of the amplifiers and accessories we stock have been designed to match perfectly with the Pilgrim Harps Wave Collection. 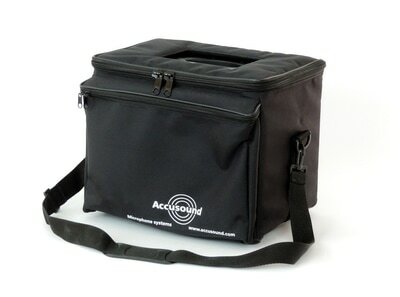 However they are brilliant amps that can be used with any electro or electro-acoustic harp. 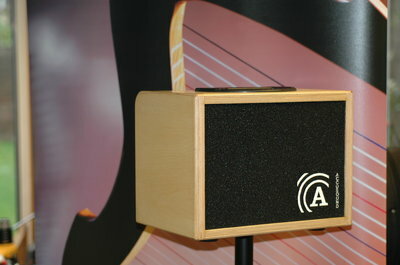 The Accusound AMA-1 acoustic amplifier is a professional quality, flexible product. 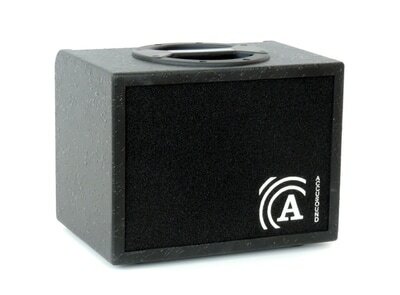 The amplifier is intended to be used with microphones or pickups with an XLR or 1/4" jack plug connector. Phantom power (12v) may be applied individually to each channel. Similarly the input sensitivity may be changed by the push of a button. The control panel also allows independent volume control along with overall system volume. A three band tone plus parametric control is available on each channel. There are 16 reverberation programs available. Both channels use the same reverberation, however the level of reverberation may be adjusted independently. External effects may be added by use of the send and return sockets on the amplifier. There is a headphone socket with independent volume control to allow personal listening or monitoring. The DI output is selectable between pre and post main volume control. In addition to DI output there is a loudspeaker output for connecting a passive loudspeaker. The clipping indicators on each input, and the output, indicate when you are approaching overload. There is a built-in speaker stand socket on base for easy stand mounting. The AMA-1 is a compact, yet powerful, acoustic amplifier. The standard contact microphone for harp is a thin strip microphone which fixes to the soundboard of the harp. The tan coloured protective PVC cover allows ample surface to achieve good adhesion to the sound board. It is fixed using double sided self adhesive tape supplied in the kit. The positioning of the strip can make a difference to the sound it reproduces so experimentation is important. We suggest you start 1/3 of the way up the soundboard, to one side and away from any ribs. The strip is normally fixed to the inside of the soundboard which is unvarnished so it may be easily removed if it is no longer required or to use on another instrument. We can also fit a high quality miniature wireless transmitter which allows you to play without wire for your audience to trip over. 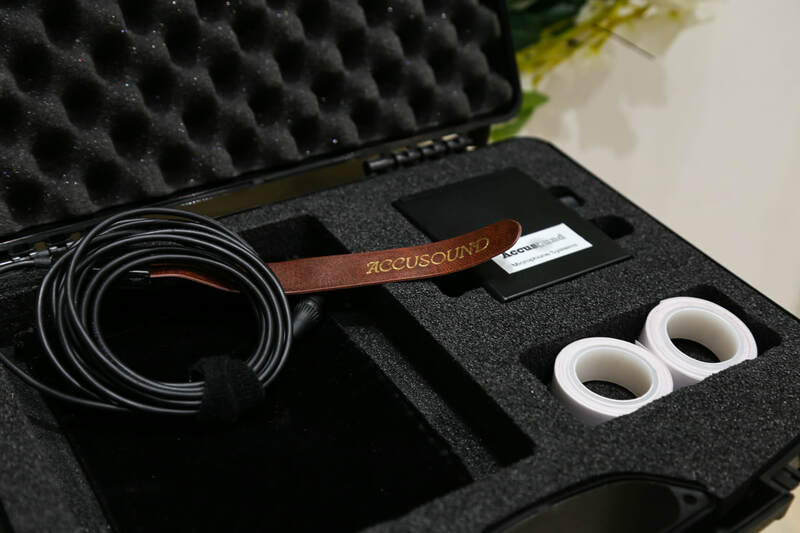 The Accusound contact strip has the advantage over a standard microphone for harps in that it maintains the character of the instrument but greatly reduces the chances of feedback. Being fixed to the inside of the instrument, it is always in the correct position no matter how the harp is moved.